Jim Sloan is a writer and editor in Reno, Nevada. He has been a journalist for more than 25 years and is the author of two books, "Staying Fit After Fifty," and "Nevada: True Tales from the Neon Wilderness." The best exercises for improving cardiovascular endurance are activities that elevate your heart rate and keep it elevated for a sustained period of time. 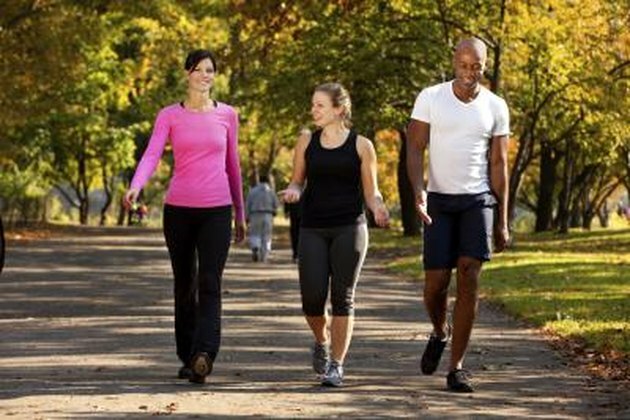 According to the American College of Sports Medicine, these activities include fast-paced walking, running, cycling, swimming, cross-country skiing, jumping rope and in-line skating. By elevating your heart rate with exercise, you strengthen your heart, improve blood flow, burn fat and improve your body's ability to deliver oxygen and energy to working muscles. These are the hallmarks of cardiovascular endurance. Walking burns fewer calories than other forms of exercise, but it is good exercise for many people because they can do it anytime and anywhere. The key is to walk fast. To improve your cardiovascular endurance, your heart rate should be at least 60 percent of your maximum heart rate (MHR), which is calculated by subtracting your age from 220. To reach 60 percent of your MHR, you may have to walk from 3.5 to 4.5 mph. A typical 154-pound person jogging at the relatively easy pace of 5 mph will burn twice as many calories in a half hour as the same person walking 3.5 mph. Because jogging is considered a more vigorous form of exercise, many people like to run to improve their cardiovascular endurance. The key to improving your cardiovascular fitness with jogging, as with any form or aerobic exercise, is to systematically increase either the amount you run each week or the speed at which you run by no more than 10 percent. 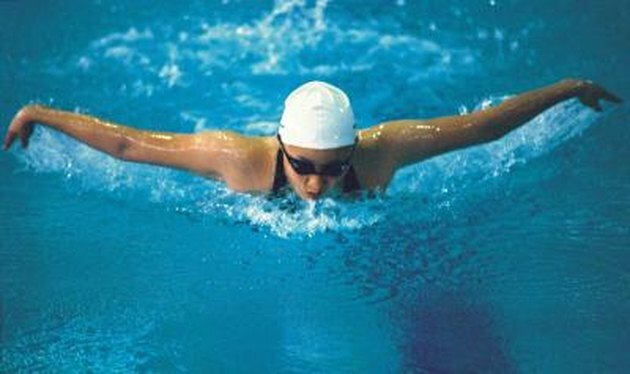 Swimming works a wider range of muscle groups than walking or jogging and burns a lot of calories. 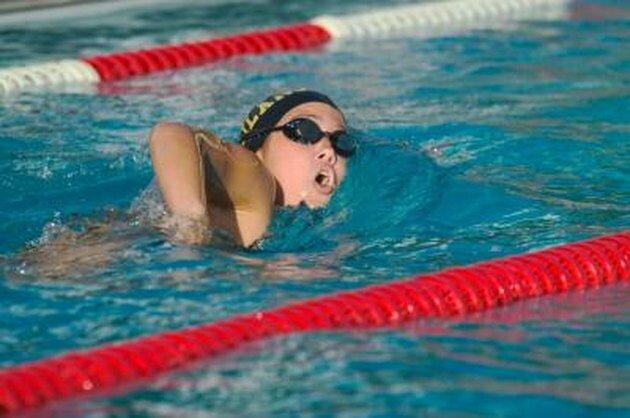 Even a slow freestyle burns as much as a 5 mph jog. The best way to improve cardiovascular endurance while swimming is to swim 50-, 100- or 200-yard intervals followed by short rest periods. As your endurance improves, increase the length of the intervals or shorten the rest periods. Cycling must be done at a brisk pace if you want to improve your cardiovascular fitness. 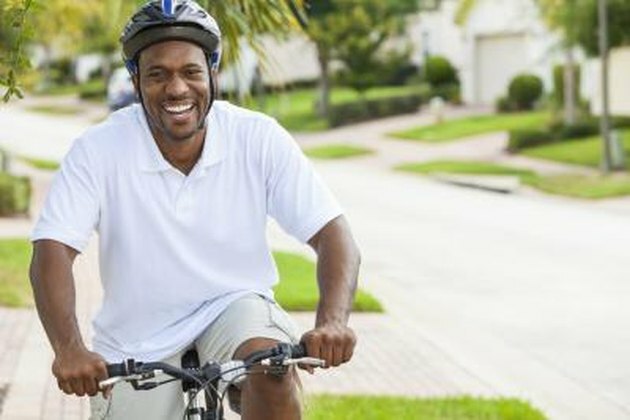 If you ride slower than 10 mph, according to the Centers for Disease Control, you will burn about as many calories as you would walking at 3.5 mph. At speeds greater than 10 mph, your heart rate will climb and your muscles will start demanding more oxygen and energy. Your cardiovascular and respiratory systems respond to the task, thus improving your fitness and endurance. 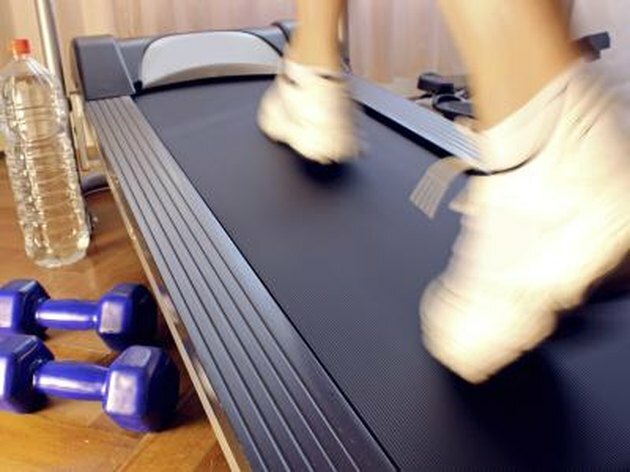 Stationary bicycles, elliptical trainers, rowing machines, treadmills and stair machines can all be used to improve your cardiovascular endurance. These machines enable you to adjust the intensity of the workout to meet your needs and you can also keep track of various biofeedback data, such as your heart rate or calories burned. Using a variety of exercises will improve your fitness even more by incorporating additional muscle groups. Many people walk one day and run the next, or swim one day and run the next. Variety will give your body a chance to rest up while allowing you to improve your cardiovascular system every day.The American College of Sports Medicine recommends exercising for at least a half hour most days of the week and states that you can increase your fitness by exercising longer or exercising at a greater intensity.